Gordon Boyes joined Split Simple from Lacuna Gap Capital, where he is an operating partner supporting a wide range of technology and software portfolio companies. At Split Simple, Gordon is focused on optimizing the customer experience through product innovation and technology implementation. 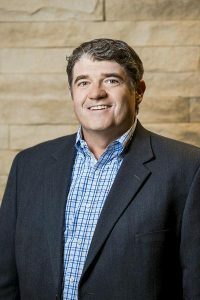 Prior to co founding Split Simple Gordon served as Chief Executive Officer of both SageFire and splick-it Inc. Gordon previously led a team of 500 people that performed customer operations for Level 3 Communications. In addition to operations and execution, he has 15 years of experience in P&L management, corporate development, and technology from Level 3, Booz Allen & Hamilton, and Nortel. Gordon graduated from Virginia Tech with a degree in Computer Science and also has an MBA from the Tuck School at Dartmouth College. Outside of the office, Gordon enjoys family adventures, hiking with his dogs, tennis and snowboarding.